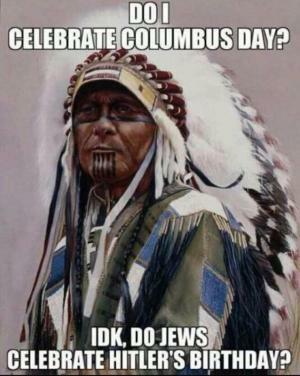 Do I celebrate Columbus Day? IDK, do Jews celebrate Hitler's birthday? “Asked her what tribe she with, red dot or feather?" When you think of native you may think of Indians. 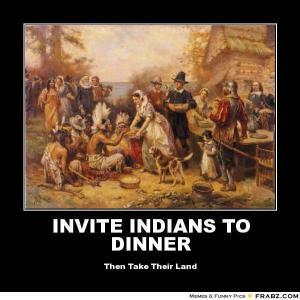 When it comes to Indians, Native Americans, you think of Thanksgiving, casinos, reservations and maybe even Pocahontas. You can’t forget cowboys the jokes you pull out of those scenarios are endless. 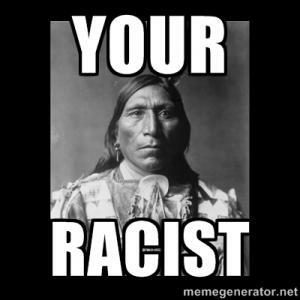 Here we have added the most popular and viral racist native jokes from all over the Internet. We have taken the best ones we could find, including the ones you guys have sent to us, and added them here. We are always adding new content to this section so be sure to check back often. While you’re browsing our collection of jokes, be sure to rate your favorites and share with your friends and kappit! let's give thanks to tse w brought rampant disease, pestilence, and religious persecution to our native americans. sure you can trust the government! 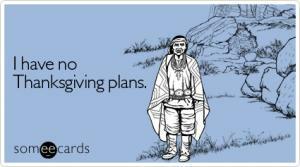 I have no Thanksgiving plans. immigrants threatening your way of life? A Native American man walks into a hotel in Las Vegas. The receptionist asks "Do you have a reservation?"